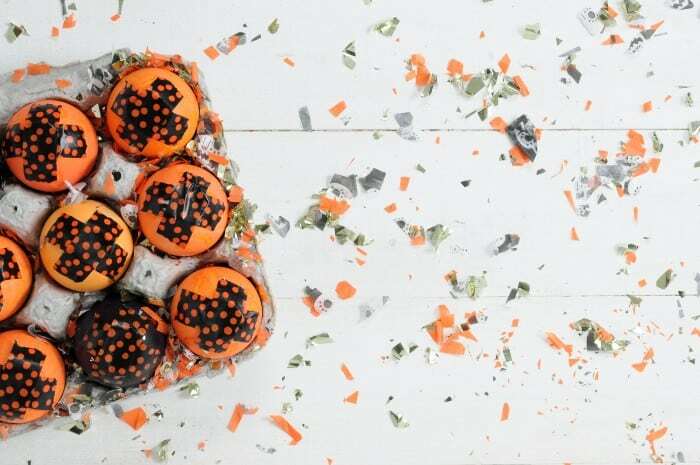 Need some duct tape crafts that are perfect for Halloween? 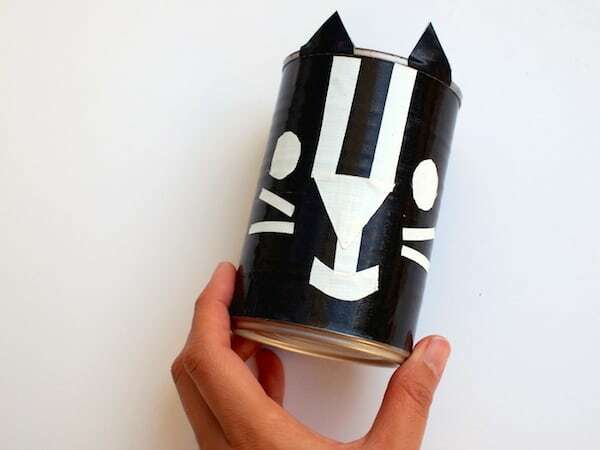 Start with this black cat container – kids will love it, and it’s easy for any age. 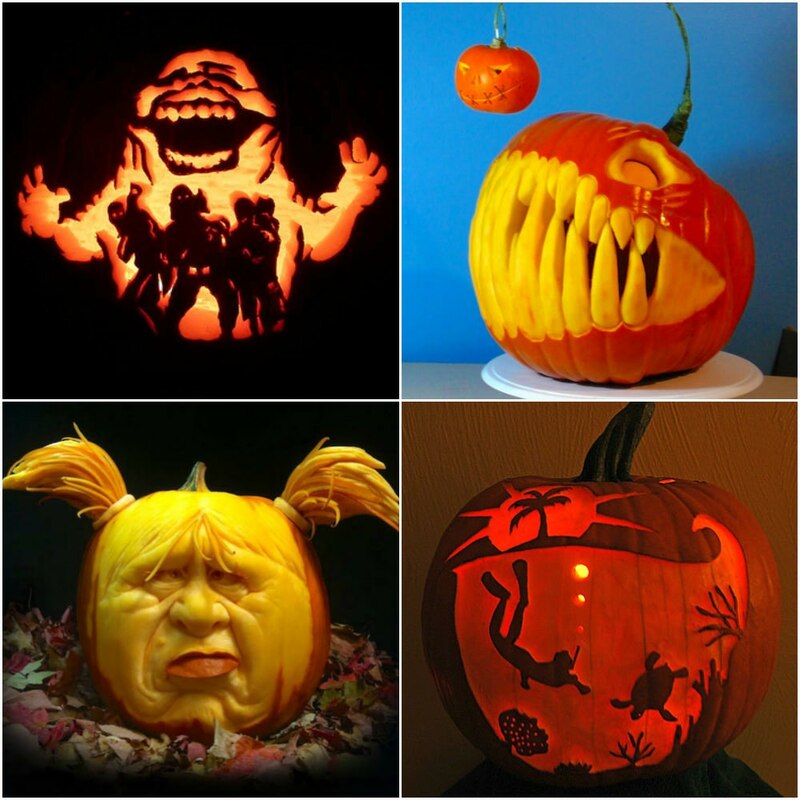 Halloween is my favorite holiday of the year. Oh, the costumes! Oh, the candy! I love it all. 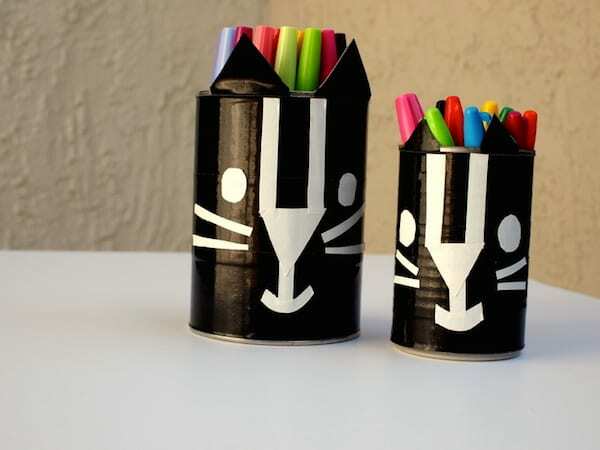 So for today’s duct tape crafts post, I’m sharing how I made these cute black cat containers. 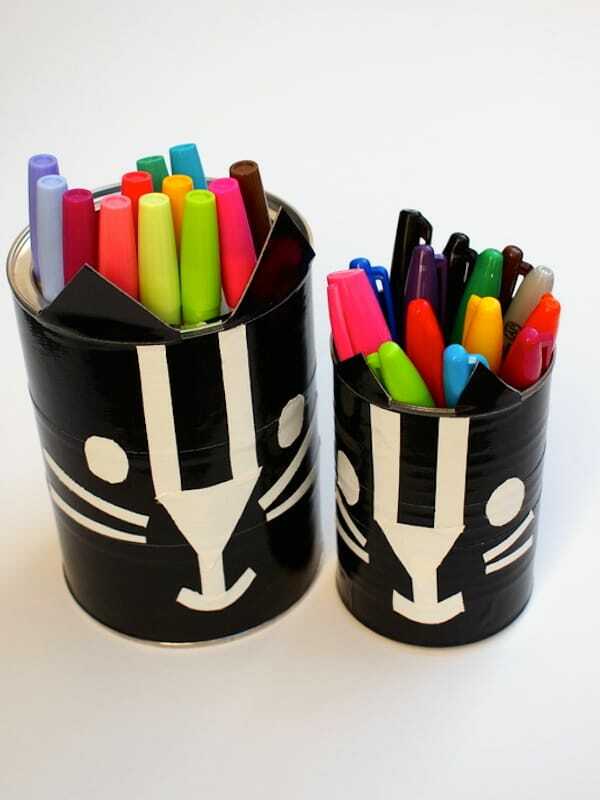 You can use them to hold pens and markers. 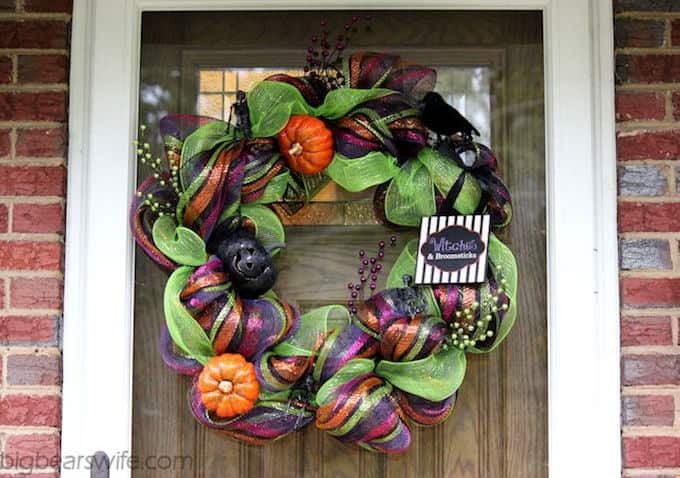 Or, you could use them to hold your stash of Halloween candy too! First, let’s make the cat’s ears. 2. Use your craft knife to slice your tape in half lengthwise. Then, fold each piece in half, leaving the ends free. 3. Stick your two tabs onto the tin can. 4. 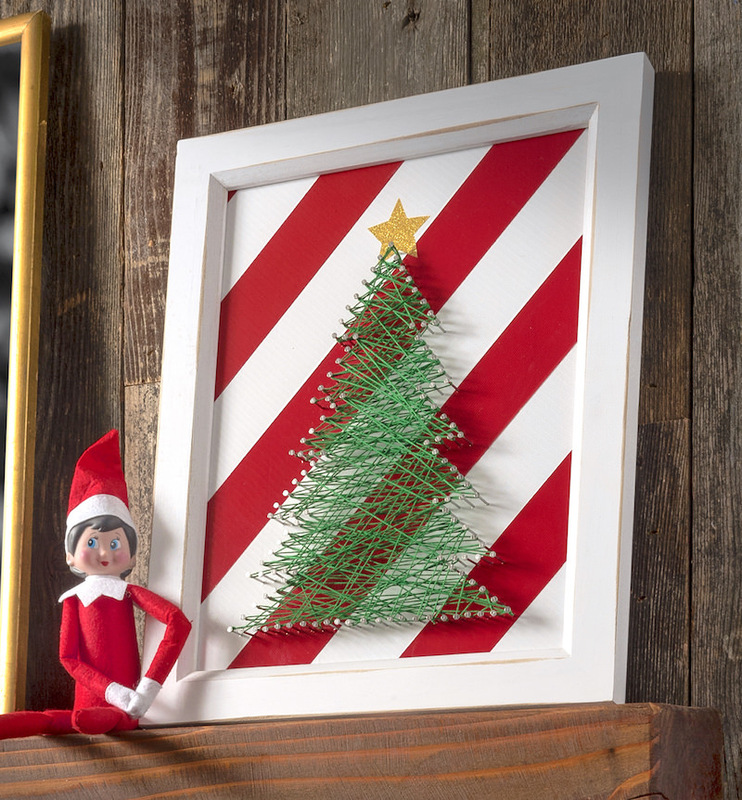 Use your scissors to trim the tabs into two ears. Now let’s make the cat’s face. 1. Cut a longer piece of duck tape using the previously described technique. (For the smaller cat, I cut about 10 inches.) 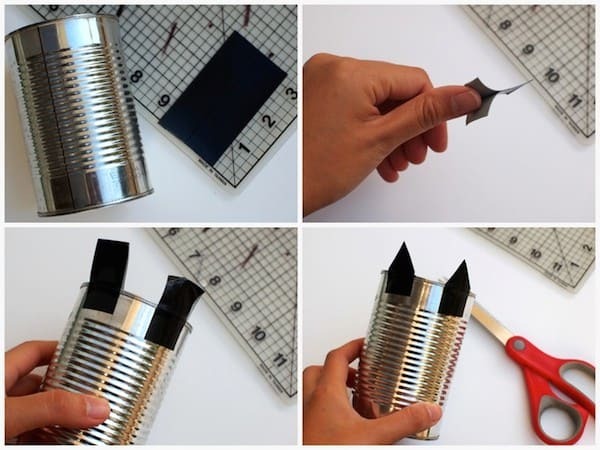 Use the previously described technique to cut the duct tape. 2. 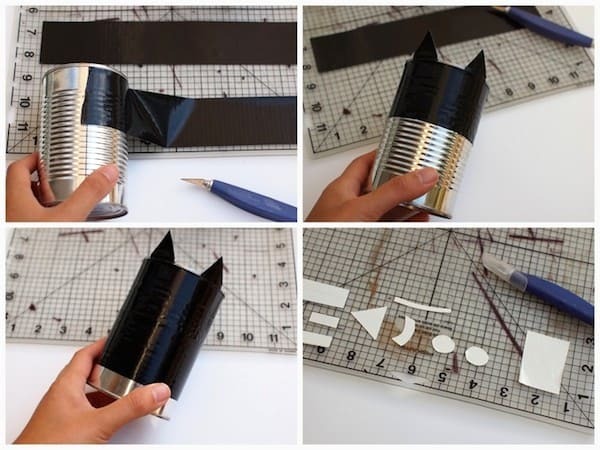 Wrap the duct tape around the can. 3. Use your craft knife to cut out pieces for the cat’s face. 4. Tape on your cat’s face! You’re done! 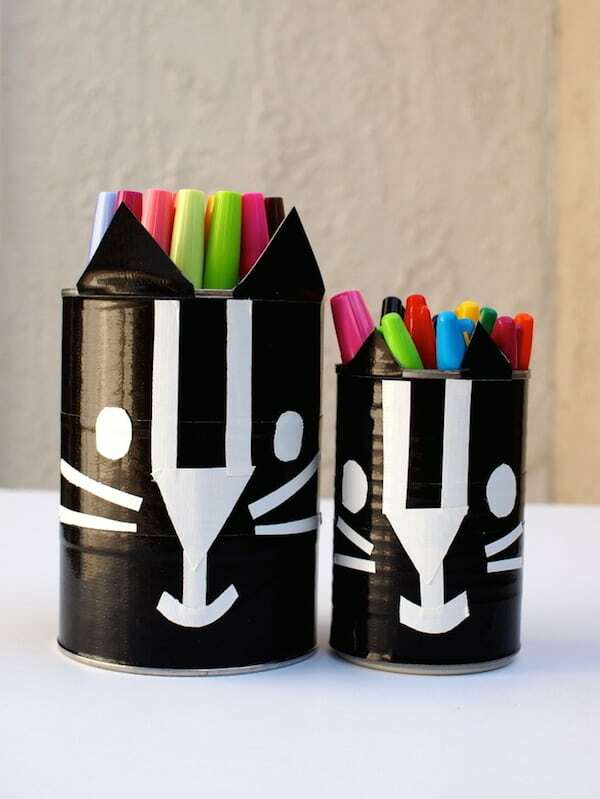 These cute black cats are ready to hold all your goodies! I’m Leslie. I’m a mom, cardboard hoarder, and kids craft enthusiast! You can check out my everyday crafting adventures at www.PinkStripeySocks.com. Or, you can find me on Facebook, Instagram, Pinterest, and Twitter.